I have 21 entries SO FAR! WHEEEEE! Wow, you are a really busy guy this week, Sammy! YES! This is a busy week – I hope nobody has put a pumpkin in the hall where you live Cupcake? EEEEEEK! WooHoo Spook week is finally here. Good morning, Sammy! Wow, you do have a busy week ahead! Well, it looks like Motor Mommy is running out of time to get my costume ready…. I may just have to stop by for the party and see everyone else’s! I’m ready for the howl-o-ween pawty and I will dance till my feet will glow :o) … and I’m ready for the teaser… how about maine usa? Hallowe’en IS coming up soon. Getting excited already. 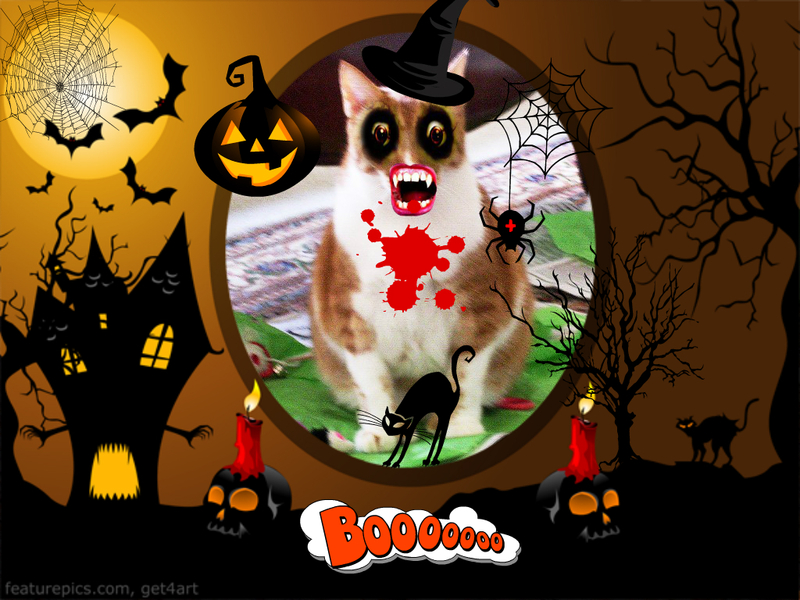 You sure are having a spooky cool time Sammy! We better submit our pictures. We’ll remind Mom cause she can’t remember anything. Busy, busy guy! You are some kinda guy and so is your mom. 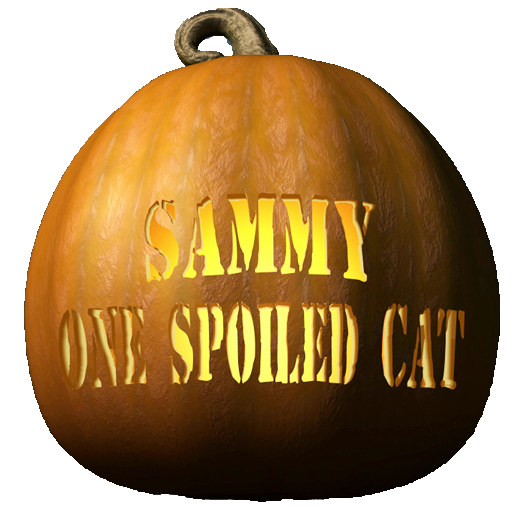 We love your Halloween costume contest, Sammy! We don’t usually enter things like that, but we love to come by and see what everyone else came up with and cast our votes. So we look forward to it, as well as the teaser tomorrow! Hmmmm, I need the email addy to enter. I can’t seem to find it. Thanks.